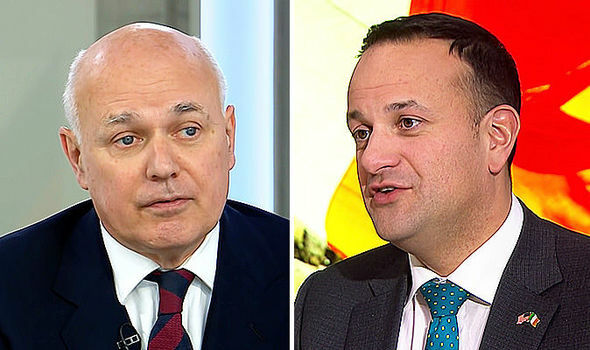 BREXITEER Iain Duncan Smith warned the European Union attempts to “use the Irish issue” to pressure Britain into staying in the customs union could have bad consequences for Ireland. Theresa May has been facing increasing pressure from the European Union and Ireland to deliver a viable proposal to keep the border with Northern Ireland frictionless after Brexit. Conservative politician Iain Duncan Smith predicted a deal could soon be reached but called on Brussels to “stop messing around” to pressure the UK into staying inside the customs union. Talking to BBC Radio 4’s Today programme, Mr Duncan Smith said: “We have made a decision: we are leaving the customs union and we all agree, including the Irish, that there will be a flexible border arrangement. The Irish border issue has caused a major headache for the Prime Minister after her ‘customs partnership’ model was rejected by leading Brexiteers in her cabinet. After meeting with Prime Minister May at the EU’s Western Balkans summit in Sofia, Leo Varadkar warned the Irish border problem could collapse Brexit negotiations. But Mr Duncan Smith argued Ireland’s former Government had already set up a possible resolution to avoid a hard border until the EU “stepped in”. He continued: “Last year when Enda Kenny was there we know that Liam Owen, the Revenue Commissioner in Ireland, said categorically there was no need for a hard border and they were already working on facilitation arrangements like the same sort of things we are talking about with the Max Fac. Mr Duncan Smith added: “This is all very doable. Other countries are already doing this now: the Swiss are doing this. Mr Varadkar and Brussels rejected Mrs May’s “Max Fac” proposal that would see Britain implement technology to minimise border friction and dismissed her preferred option of creating a customs partnership with the bloc after Brexit. The Irish PM warned the UK that unless real and substantial progress is made before the June European Council meeting the Brexit deal could fall through. Do you have a business in Spain? 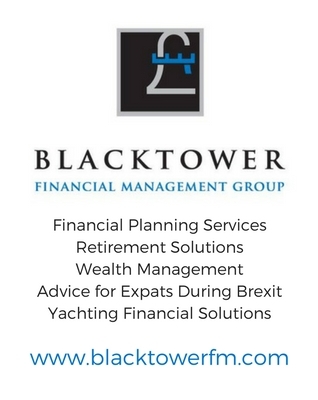 Do you provide a service to the expat community in Spain? Would you like your message to reach over 500.000 people on a weekly basis? Do you want to grow your business? BayRadio is a community orientated radio station offering fantastic content to our many listeners and followers across our various platforms. Contact us now and find out what Bay can do for you! Our business is helping your business grow.